Located in the heart of New Orleans’ French Quarter, Beauregard-Keyes House is an historic residence and museum dedicated to the home’s famous residents—Confederate General Pierre Gustave Toutant Beauregard and American author Frances Parkinson Keyes—who lived at the house almost a hundred years apart. 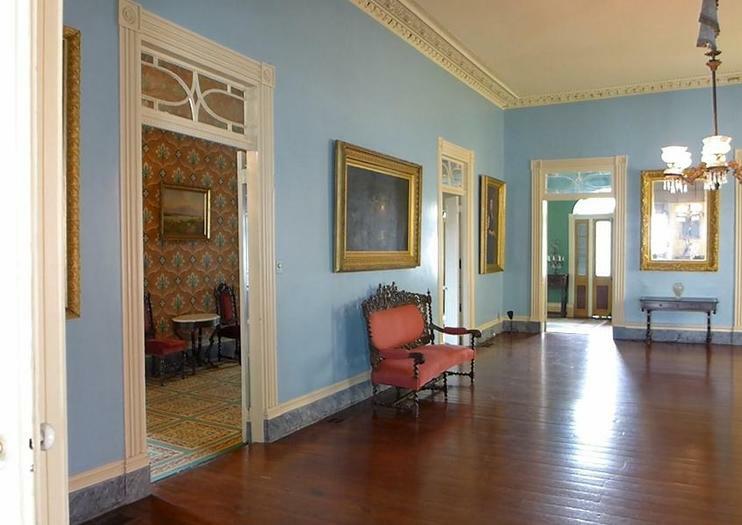 Originally built in 1826 for auctioneer Joseph LeCarpentier, Beauregard-Keyes House was built in grand Federal style, with a raised main floor. Inside, note both Creole and American influences along with period furniture and decorative touches. Outside, there’s a formal garden with box hedges. The house is a regular stop on walking tours of New Orleans and the French Quarter. General Beauregard moved into the property in 1866 while working as president of the New Orleans Railroad. The Beauregard Chamber in the house displays some original furnishings from this era. In 1950, 85 years later, renowned author Frances Keyes purchased the home and spent the next 20 years using it as her winter residence. She wrote several of her best-loved works at the home, including The Chess Players, Blue Camellia, and Dinner at Antoine’s. Keyes’ collection of antique dolls and teapots are displayed at the house. Visits to the museum are by guided tour only. Tours begin on the hour, every hour until 3pm. There’s an admission charge to enter the museum, with reduced prices for students, seniors, and active military. Children under 6 go free. The house is located in the French Quarter, at 1113 Chartres Street. The Ursulines stop on the Riverfront Streetcar Line is a short walk away, and the house is easily accessible on foot from other locations in the French Quarter and via walking tours of the city. There is free street parking nearby. Beauregard-Keyes House is open Monday–Saturday from 10am–3pm. The final tour of the day starts at 3pm. Afternoons are the busiest time, so consider planning your visit before lunch. Just five minutes’ walk away from Frances Keyes’ house is the former home of another literary great, William Faulkner. Tucked away in Pirate’s Alley, down the side of St. Louis Cathedral off Jackson Square, you’ll find William Faulkner House, where the author lived in 1924. The ground floor is now a bookshop selling works by Faulkner and other authors. Follow in the footsteps of New Orleans’ legendary writers with a 2-hour literary history tour of the French Quarter with a local guide. See where Truman Capote and Earnest Hemingway drank their favorite cocktails, with plenty of time to order one for yourself. Enjoy a relaxed pace as you stroll to the authors’ homes, discover the Southern roots of Eudora Welty and Tennessee Williams, and hear stories about the art and literature of Dixie Bohemia. Finish your tour by visiting a pair of beloved restaurants that have become neighborhood landmarks. Take a walk through history to discover the mysteries and secrets of New Orleans! On this 2-hour evening tour, follow your storyteller guide through the shadowed alleyways of the French Quarter and hear tales of voodoo, murder, torture and famous hauntings. Visit infamous locations laden with dark history such as Sultan’s Palace, the LaLaurie Mansion and St Louis Cathedral. The perfect tour for fans of mystery, legend and colorful characters.